You can never go wrong when you pair chocolate and Irish cream. 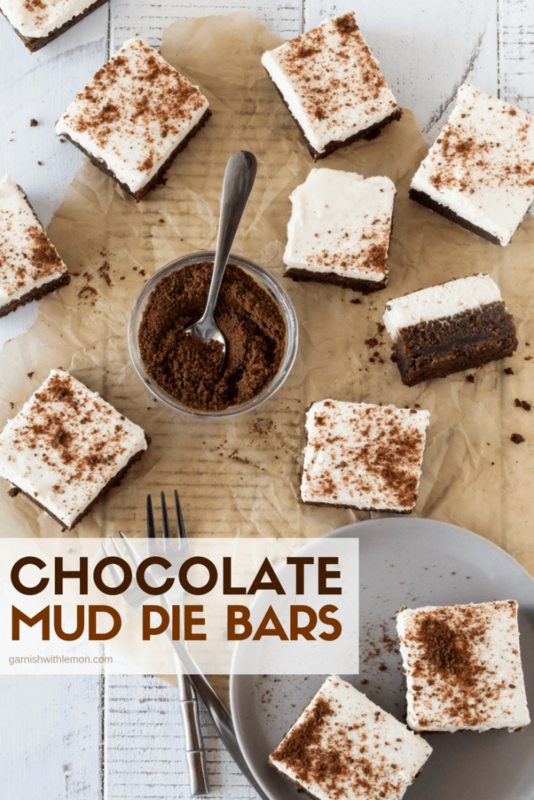 We combine them both in one spectacular dessert with this Chocolate Mud Pie Bars Recipe. Everyone loves layers, especially when they include chocolate. After all, what’s better than chocolate brownie topped with whipped cream topping? Add a chocolate graham cracker crust and some Kerrygold® Superior Irish Cream Liqueur to the mix, and you have a chocolate dessert nirvana. 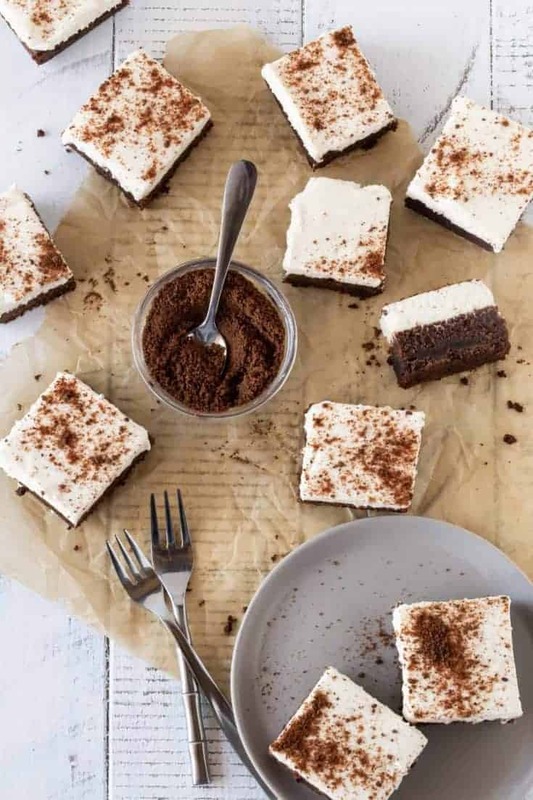 Summer entertaining doesn’t get any more delicious than this Chocolate Mud Pie Bars Recipe. Mud pie? Sounds like a terrible name, right? Who wants to eat mud? The term “mud pie” comes from the rich, dark layers of chocolate crust and chewy brownie in this recipe. 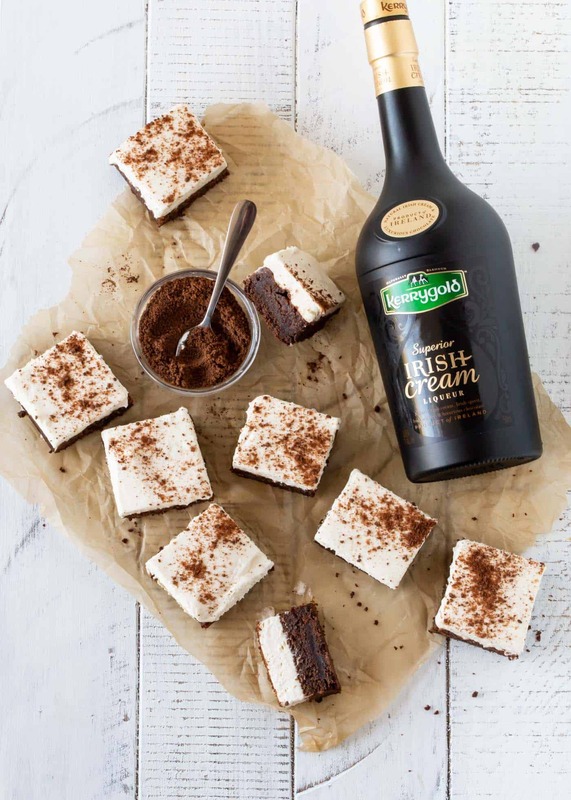 But the rich chocolate wasn’t enough for us, so we took it a step further and added a splash of Kerrygold® Superior Irish Cream to enhance the chocolate taste even more. You’re welcome. Why make pie bars instead of a pie? In a nutshell, it’s easier. Easier to get your layers even. Easier to get out of the pan, and, most importantly, easier to serve. After all, show me how to always get the first piece of pie out and have it look pretty, and I’m all ears. With these chocolate mud pie bars you don’t need to worry. Every piece looks perfect and tastes even better. Team cold brownie or warm brownie? Do you like your brownies warm from the oven or chilled in the fridge? Which camp do you fall in? I tend to side with those who prefer them cold (plus they are easier to slice) but would never turn a warm one down either. However you prefer to serve them, you can’t go wrong with these layers of chocolate goodness. What are you waiting for? Make a batch today and pop them in the freezer for your next party. Simply defrost before serving and dessert is done. Chocolate, Irish Cream and Whipped Cream. Enough said. Dessert bars are always a hit with a crowd. Bring some of these favorites to a party and watch them disappear. Preheat the oven to 375˚ and line an 8x8 square baking pan with parchment and set aside. Combine chocolate graham cracker crumbs and melted butter in a small bowl. Pour into prepared pan and press into pan. Bake in preheated oven for 6 minutes. In a medium saucepan, place 8 tablespoons butter and 2 ounces unsweetened chocolate. Heat over low heat and stir until melted. Remove from heat. Stir in flour, salt, sugar, Kerrygold® Superior Irish Cream Liqueur, and corn syrup. Add eggs one at a time stirring well after each addition. Pour into prepared crust and bake for 25-30 minutes or until tester comes out clean. Place softened cream cheese and powdered sugar in bowl and beat smooth. Add Kerrygold® Superior Irish Cream and stir to combine. In another bowl beat whipping cream until firm peaks form. Add cream cheese mixture and beat until combined. Spread over brownie layer and dust with remaining cookie crumbs. I fell in love with mud pie at a local restaurant back in North Dakota during college. You have no idea how much I wish I could reach into my screen and grab one of these brownies!